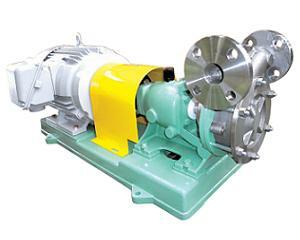 FRS has small capacity and high head by one impeller. Easy inspection of pump interior is capable with just removing a suction cover. FRS can be used for a wide range of liquid because of it's stainless steel materials. High efficiency saves electric cost. 3. The shaft seal dimensions are structured to serve as gland packing and mechanical seal.